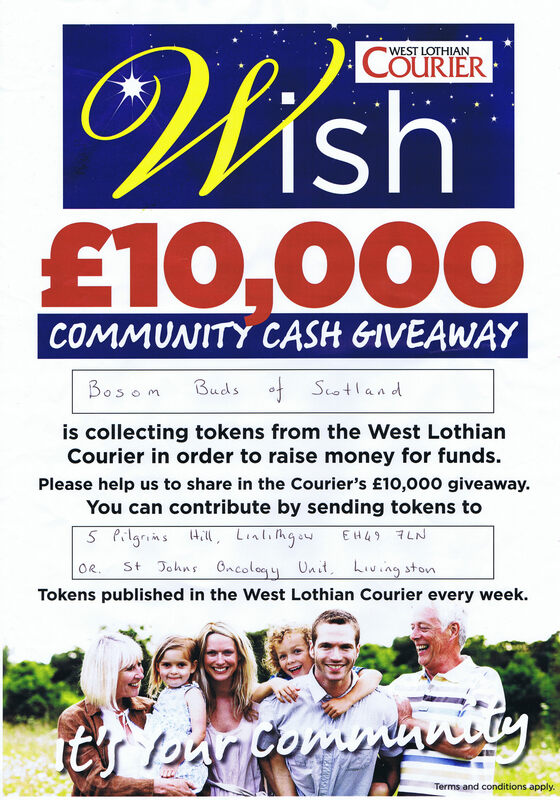 Bosom Buds of Scotland is collecting tokens from the West Lothian Courier WISH Campaign in order to raise money for funds. Please help us to share in the Courier’s £10,000 giveaway. 5 Pilgrims Hill, Linlithgow, EH49 7LN or St Johns Oncology Unit, Livingston.